Following the release of the Air Jordan 1 “Top Three” this week, Jordan Brand delivers another bold edition of the silloutte. 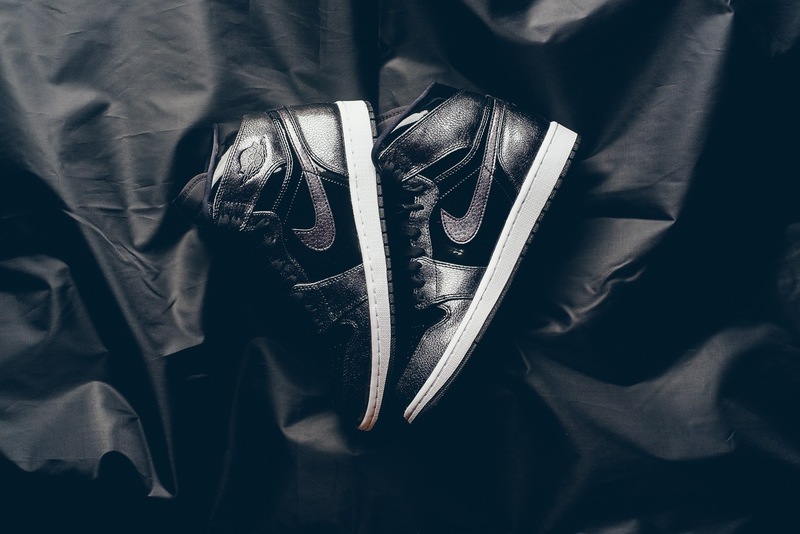 The classic Jordan 1 High is coming in this black edition, featuring both smooth and patent leather throughout the upper, while sitting atop a contrasting white midsole and a black rubber outsole. These Jordan 1s release Dec. 1 at select retailers, including Sneaker Politics, for $150 USD.